In what’s maybe the most comprehensive global temperature reconstruction study to date, scientists at Oregon State University and Harvard University found that the planet today is warmer than it has been during 70 to 80 percent of the time over the last 11,300 years. 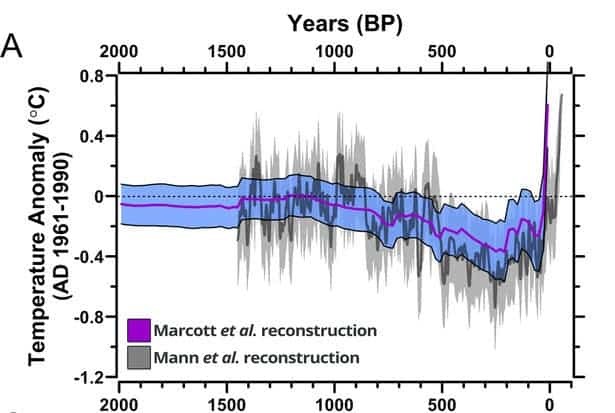 The authors note in their paper published in the journal Science that previous, similar studies have concentrated on assessing global temperatures for the past 2,000 years only. Other studies that have backtracked temperatures over longer periods of time are also insufficiently relevant since they concentrate their analysis over a specific region only, like Europe or North America for instance. 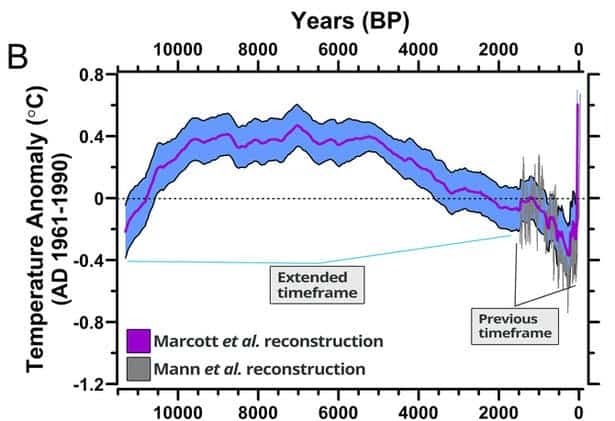 Thus, the present study, through its temperature reconstructions up until close to the last Ice Age, aims to put climate change, past and present, in a much broader context. Lead author Shaun Marcott, a post-doctoral researcher in Oregon State’s College of Earth, Ocean, and Atmospheric Science spearheaded the combined efforts that collected regional temperature data from 73 sites around the world. For the year 2100, nearly every climate model evaluated by the Intergovernmental Panel on Climate Change (IPCC) shows that temperatures will exceed the warmest temperatures during that 11,300-year period known as the Holocene, no matter the greenhouse gas emissions scenario. Now, that’s something to ponder.